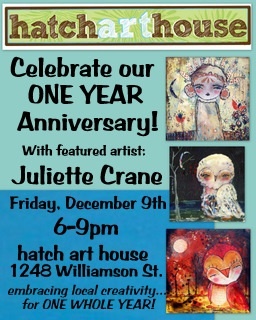 Hatch Art House is celebrating our ONE Year anniversary December 9th! Please join Hatch and many of the artists who make this shop possible from 6-9pm. We’ll have sweet treats and festive drinks on hand. Madison’s own mixed media artist, Juliette Crane, is our featured artist of December. 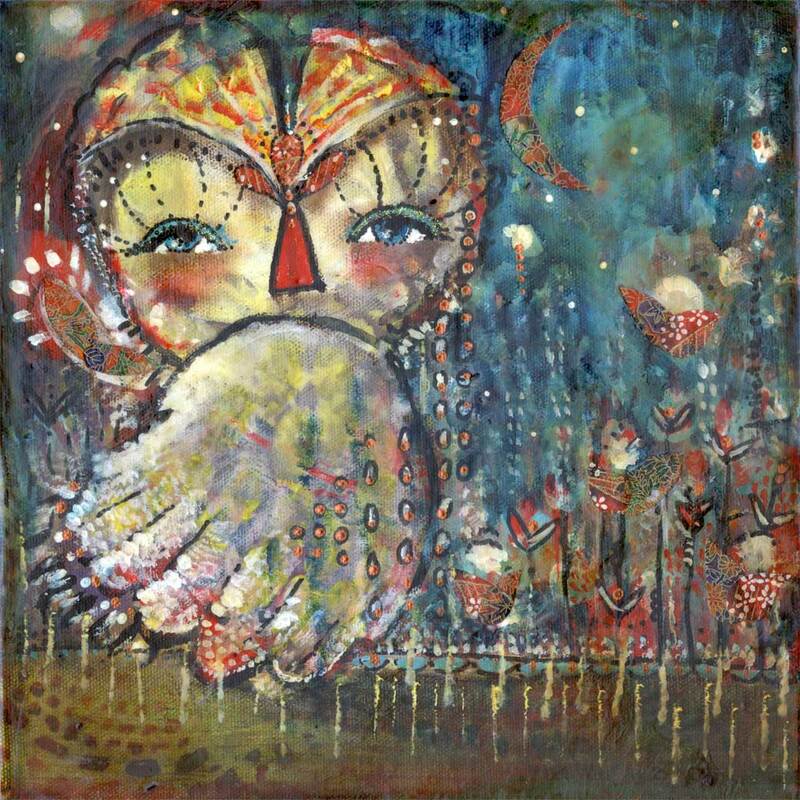 She’ll be showcased all month and will have numerous original paintings, prints, painted plates, greeting cards and even lockets with her famous owls available. This holiday season, remember to shop small businesses and stay local. Hatch features ONLY Wisconsin artists, 95% of which are from the Madison area. When you buy from Hatch you know you are buying local. Thank you all for your support!